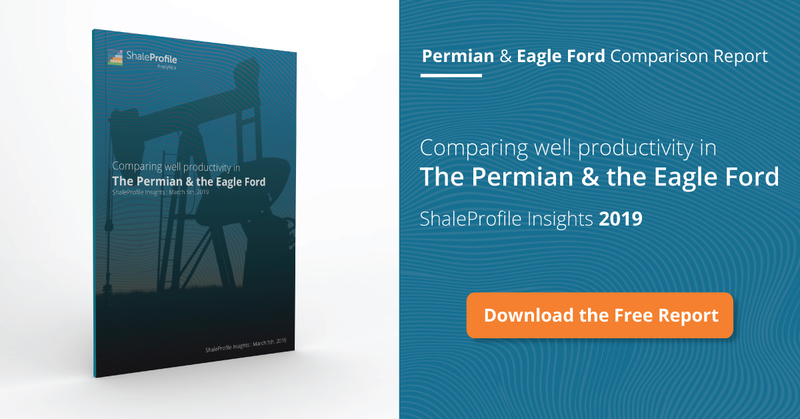 This presentation contains the latest oil & gas production data from 18187 horizontal wells in the Eagle Ford region, until June, based on data from the Texas RRC. Of these wells, 16064 where located in the Eagle Ford formation, and all of them started production since 2010. With average well productivity not having changed much since 2014 (see tab “Well quality”), but with completion activity almost 2/3rd lower than in 2015 (and more than that compared with 2014 so far this year), oil production is declining fast. As you can see, the shape of the production peak in the Eagle Ford is remarkably symmetrical so far. Due to revisions, I still expect June production to eventually reach, or just top, 1.2 mbo/d. In the “Well quality” tab, you can see that the production profiles of wells in the Eagle Ford display a remarkable straight line on the logarithmic chart. This reflects a close exponential relationship. You can use the filters on the right to narrow down the selection, all the way to individual wells (by using the “well name” filter). Furthermore, we can see there that most of the productivity improvements in the last few years were focused in the first 20 months that a well was on production. After that period, the initial gains in cumulative oil production, are not extended much more. At least so far, it doesn’t appear that these initial gains have been given back later in life as well. In that view, if you switch to “gas” production, using the “product” selection, make sure you change the chart type to “normal”, as the logarithmic scale doesn’t capture the right area. Going to the “Well status” tab, we can see the status of all these wells over time. By selecting only status “3. First flow”, we can see that based on the preliminary data, fewer than 100 wells were brought online per month, in the 2nd quarter this year. This metric was higher than 400 just before the oil price drop at the end of 2014. The apparent increase in inactive wells in June should probably be ignored, as this is likely caused by incomplete well production data so far for that month. The bottom graph shows that in June about 60% of the horizontal wells produced less than 50 bo/d, reflecting the ongoing ageing of the field. Coming Monday (October 3rd), I plan another update on the Permian, followed by a post on all horizontal well production in the 8 states I cover on Thursday 6th. Thanks. Does the “oil” in your chart represent C+C output from all oil and natural gas wells in the Eagle Ford Basin? If you have the data for all Eagle Ford wells, you could do an estimate of actual output by finding the percentage of statewide C+C output from the Eagle Ford and then multiplying by either Dean’s Texas estimate or the EIA’s TX estimate which would give a better estimate. This is not perfect of course but if on average the amount of incomplete data for the Eagle Ford is similar to other areas of Texas the estimate may be pretty close. Shoot me an e-mail if you want Dean’s estimates. Yes, I count all C+C output from all horizontal wells, that started since 2010, in the 5 districts in which the Eagle Ford formation is located. I think Dean’s estimates are an excellent way to deal with Texas as a whole, and probably also if done in a similar way for the Eagle Ford. However, I don’t want to make the assumption you state here, as I think a thorough understanding of the underlying factors of these revisions is still lacking. It could very well be that the Eagle Ford is not representative. Also, even if we have good approach for the Eagle Ford as a whole, it will still be difficult to apply that to individual wells, as I already know that many revisions are related to only a minority of the wells. It would allow me to say something better about how much we might expect that total production will still be revised though. Do you just consider all horizontal wells in districts 1 through 5, or do you only include Eagle Ford wells? All horizontal wells. If you set the selection “Show production by” to “Formation”, you will see that a small number of horizontal wells are located in the Austin Chalk, or other formations. You can choose to ignore those by using the formation filter, in the “Well Quality” tab.